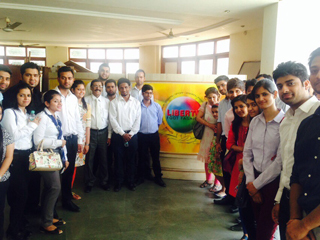 An Industrial visit was organized for PGDM –IB Students to Liberty Shoes on 25th March 2015. Liberty Shoes Limited (LSL) is an Indian shoe company, based in Karnal In the last 60 years Liberty has expanded to 25 countries and has become one of the world’s leading leather footwear manufacturers. 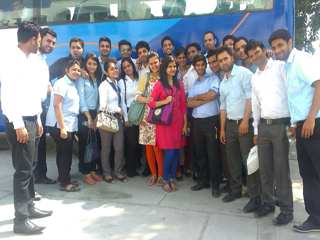 At the plant the students were briefed about manufacturing of shoes by their technical staff and Engineers. Then students were taken around various divisions and explained about the operations in each division It was found to be very helpful in the learning process of students. Students were got to know the hidden facts of manufacturing shoes and export/import procedure of the same. The support staff answered all the queries of the students as they all were curious to know about the complete cycle of manufacturing and the Management Facts. Overall, it was a very good learning experience and the students were enlightened with the knowledge of both the technical and management skills.